What is a business proposal? A business proposal is a formal written offer by a business owner to its prospective clients or investors. It details everything that the business owner plans to do with the business, including how the business will generate revenue and how business will be conducted. Business proposals are used for all kinds of business and are mostly used to attract investors to raise funds to start the business. 1. Gather the needed information. 2. Provide an outline of the scope of your proposal. 3. Estimate your labor and other costs. 4. Write a draft of your business proposal. An IT business proposal is an example of the many businesses that makes use of a proposal. 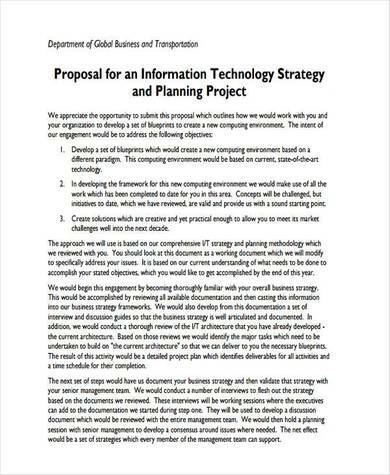 In this article, we have IT business proposal samples and templates that you can use as reference, as well as simple steps to help you create an IT business proposal of your own. So how do you create an IT business proposal? It may seem hard at first, especially if all you do is think about how it is done and not actually doing it. Once you start working on creating one, you will soon get a hang of it until it becomes something you are good at, just like doing something crafty. Here are some steps that will help you get started. Before you get started, you will need all the information you can get for the business proposal you will be making. These information could be coming from research, online sources, or simply from samples and templates. The scope of the proposal is where you address the who, what, where, when, and how of the proposal. Write these details on a separate sheet so that you can view them later when you need them. It is best to put them in writing rather them leave them floating in your head. Provide the equivalent cost of everything that needs to be covered in the business, like the cost of labor, cost of equipment, cost for leasing an office space, and other expenses. With the information you have gathered from the previous steps, start writing a draft for your business proposal. Combine and arrange the details according to the business proposal format that you want to make. Make sure that you have all the information put in their appropriate sections so that it will be easy for you to finalize it. When everything is assembled in place, go over your work and see if there are any changes that you need to make your business proposal more appropriate and appealing. Check for any spelling and grammar error that may make it seem unreliable and unprofessionally done. 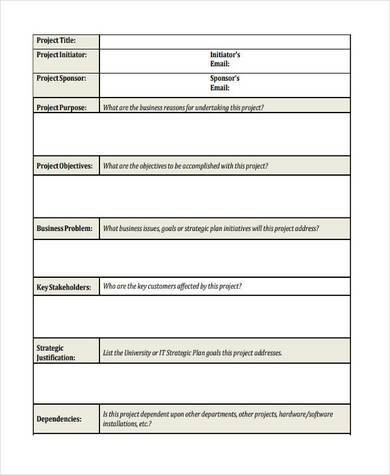 You can use this sample IT business proposal to help you get started with your own business proposal. The layout is simple, and important details are written in bold. It includes a title page, a table of contents, a whole page intended for a non-disclosure and confidentiality agreement, pie charts to represent data, and many more. This sample business proposal is a full three-page sample. Unlike any other sample business proposal, it does not have any sections and important parts are not highlighted. It consists of a heading and a title placed at the top of the page and the rest are paragraphs providing details about what is being proposed. 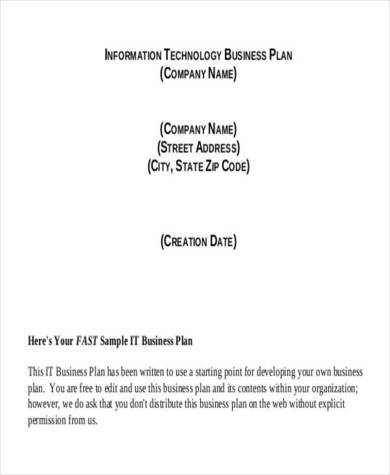 Use this blank IT business proposal sample template if you want to easily and conveniently create business plan proposal. The sample template has everything you need and guide you with what you need write and include in your business proposal. 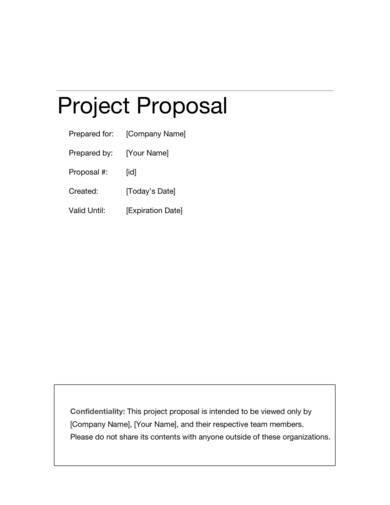 The IT business/project proposal sample template is a simple and useful template that is perfect for your proposal needs. It uses a really simple layout making it look neat and professionally done. Detailed instructions on what content to write in each section are provided making sure that you only write what is necessary and relevant. 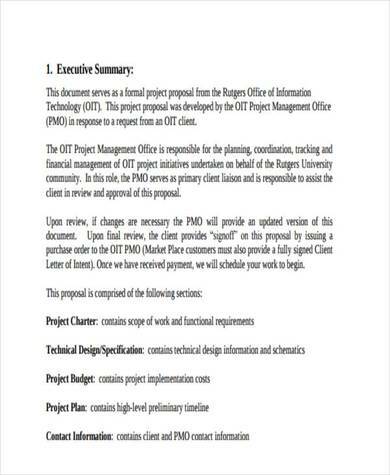 This sample consists of a title page, a page for document revision log and summary of revisions, an executive summary, a project charter, technical design or specification, project budget, project plan, contact information, terms and conditions, and attachments. Instructions are written in blue in each section so that the appropriate attachments or contents can be added to the proposal. 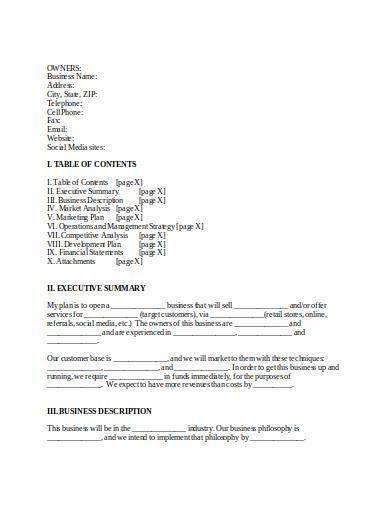 This editable business proposal sample template is available in Word making it easy for anyone to use it either as reference or as their own. The document can be easily completed by filling in the blanks with the required information. The sample template is made up of 10 different sections and each section is written in bold so that they can be easily seen and read. There are many ways on how you can create a business proposal and the best way is to get information and a lot of ideas from different varieties of samples and templates. There are business proposal letter samples that you can use as reference when writing a cover letter for your proposal and basic proposal outline templates to help you get ideas on how to properly outline your business proposal.